Exotic Dubai Tours & Safaris, Dubai United Arab Emirates, provides tours, safaris, transportation and event management, hotel reservations and other activities to you either by itself or through its suppliers. Any tour confirmations by email, letter or phone and all other tickets and coupons issued in respect of the Activities are furnished and issued subject in all respects to the Conditions of Contract and to any and all terms and conditions of the owners, operators, public carriers and such other persons who provide Activities to you. Copies of such terms and conditions are available on request. Exotic Dubai Tours & Safaris reserves the right to cancel or withdraw any Activity prior to departure and to decline to accept any persons as a participant in any Activity to be offered in the future. 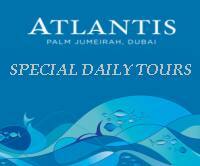 Exotic Dubai Tours & Safaris reserves the right to alter or omit any part of any Activity for which a booking has been made without notice to you and for any reason whatsoever. In particular, due to the nature of many of the Activities, delays and cancellations may result due to factors beyond Exotic Dubai Tours & Safaris' control, such as the weather, sickness, strikes, disputes and other events of force majeure. In such cases, a refund or partial refund may be given at the discretion of Exotic Dubai Tours & Safaris and/or the operator of the Activity concerned, but such refund is not guaranteed. The full price of any Activity shall be due and payable when a booking is made and Exotic Dubai Tours & Safaris may cancel any booking if the full price of the Activity is not paid to Exotic Dubai Tours & Safaris at least two (2) days prior to commencement of the said Activity. No refund will be payable to you in respect of a booking cancelled less than forty-eight (48) hours prior to commencement of an Activity. You understand and accept the potential risks and hazards that can be involved in certain of the Activities, and take responsibility for ensuring that you are mentally and physically capable of participating in the particular Activity. You must comply with the instructions of any personnel providing the Activity (�Leader�). If in the opinion of that Leader, your behavior or physical condition is detrimental to the safety, welfare and well-being of the group as a whole, or if the Leader considers that your general well-being will be put at risk by continuing with the Activity, you may be asked not to participate in the Activity without the right to any refund. You acknowledge that Exotic Dubai Tours & Safaris may not have direct control over the maintenance or safety of all the equipment or machinery used in providing the Activities, nor may it have any direct control over the training provided and supervision of the use of any equipment or machinery used in the Activities. To the maximum extent permitted by law, Exotic Dubai Tours & Safaris accepts no responsibility for any damage, loss, accident, sickness, injury or death that you or anyone else may suffer or incur arising out of the Activities and/or in connection with these Conditions of Contract. You are advised to have comprehensive travel and health insurance. In particular, some of the Activities are potentially dangerous. Exotic Dubai Tours & Safaris and its suppliers will use all their experience and, where necessary, the experience and assistance of local guides and other experts, in order to minimize the risk to you. Nevertheless, if you are participating in Activities that are particularly hazardous you will be required to sign an indemnity and waiver acknowledgment form before participating in those Activities. To participate in a potentially hazardous Activity you must read, understand and indicate your agreement by signing the indemnity and waiver acknowledgment form in English before the Activity commences. All personal effects are at your sole risk at all times during the Activity. The purchase of a voucher or the making of a booking entitling you to participate in an Activity shall be deemed to constitute your consent and acceptance of these Conditions of Contract.